Fortnite cross-platform play (or crossplay) allows mobile (currently iOS), PlayStation 4, Xbox One, Mac and Windows PC players to play together (with a couple of exceptions that we’ll talk about below). It can be a bit tricky to figure out how to get crossplay working, though. In this guide, we’ll show you how to enable cross-platform play in Fortnite and Fortnite Battle Royale, no matter what device you’re using. Fortnite matchmaking differs, depending on the platform. On PC, Fortnite will match you with mobile, PS4 and Xbox One players who are in a cross-platform party — unless you’re playing Solo mode. In Solo mode (which is designed to exclude teams), you’ll only be matched against solo PC players. On all platforms, Fortnite’s Squad Fill parties refer to players on whatever platform that you’re playing on. 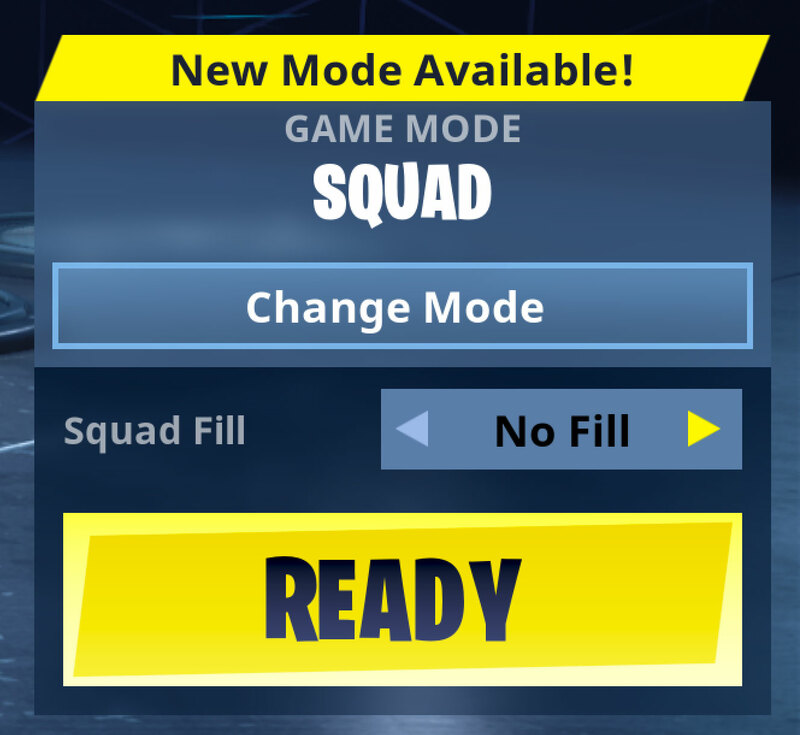 As a concession to PC players who don’t want to play with console or mobile players, Squad Fill parties are disabled when you’re in a cross-platform party on that platform. Your Epic Games account is the glue that binds Fortnite together across all platforms. Ultimately, you’ll use it to create a cross-platform party, which lets everybody play together. But it has other benefits, too. Mac and PC players have to link their account to play Fortnite on those platforms, so there’s no extra step on those platforms. Linking is optional elsewhere. You don’t have to connect to your Epic Games account if you’re not interested in crossplay or syncing your progress between systems. Your iOS, PlayStation and Xbox friends lists are locked into those platforms, but your Epic Games account breaks down the barriers between them. Epic doesn’t care where you’re playing Fortnite, and becoming friends through Epic enables cross-platform play. In effect, you need to create a cross-platform friends list. After you’ve linked your Epic Games account, add friends to that account using the Epic Games Launcher or Fortnite on Mac and PC. You can add Epic friends through Fortnite on mobile, too. Cross-platform matchmaking for mobile (iOS), PS4 and Xbox One players will only happen for players in a cross-platform party. If you’re not in one of those, you’re playing against those on your console or mobile ecosystem. However, Fortnite on Xbox One has an exclusive feature in the settings menu that allows players to block mobile and PC players. Cross-platform compatibility depends on hardware. As the chart below shows, crossplay between PlayStation 4 and Xbox One isn’t available, but everything else is. On Mac and Windows PC, you need to download the Epic Games Launcher to play Fortnite. You’ll sign in there with your Epic Games account. On Mac and PC, anyone on mobile, PS4 or Xbox One who’s in a cross-platform party can appear in your match. If you’re playing in Solo mode, you’ll only play against other players on your Mac and PC. When you’re in a cross-platform party on Mac and PC, the Squad Fill party option (which populates your party with people on the same system) is disabled. This allows PC players who don’t want a cross-platform party to opt out. If don’t want to play with anyone on any other platforms, choose Fortnite’s Solo mode. Add the people you want to play with as an Epic Games friend from the Epic Games Launcher on Mac, PC or from within the game on mobile. Your buddy on another platform can now join your party. If you’re on Mac or PC and want to join a friend on PS4, you’ll need be Epic friends. (You can do that on mobile or Mac and PC.) Then, as long as your PS4 pal has their game privacy settings set to Public or Friends and they’re not in a Solo queue, you can join their lobby. Xbox One players can crossplay with players on Mac, PC and mobile (but not PS4), as long as you’ve linked your Xbox One account with your Epic Games account. Add your friend as an Epic Games friend from the Epic Games Launcher on Mac, PC or from within the game on mobile. Have the Xbox One player set their Fortnite privacy settings to Public or Friends. Fortnite on Xbox One has a unique crossplay notification that appears when you load Save the World for the first time and when a friend on mobile or PC joins your party. If you don’t want to see that notification anymore, you can disable it in Settings > Game menu.